Who will get the Blue Badge? Who claims for the Blue Badge? How is the Blue Badge defined and who will receive it? 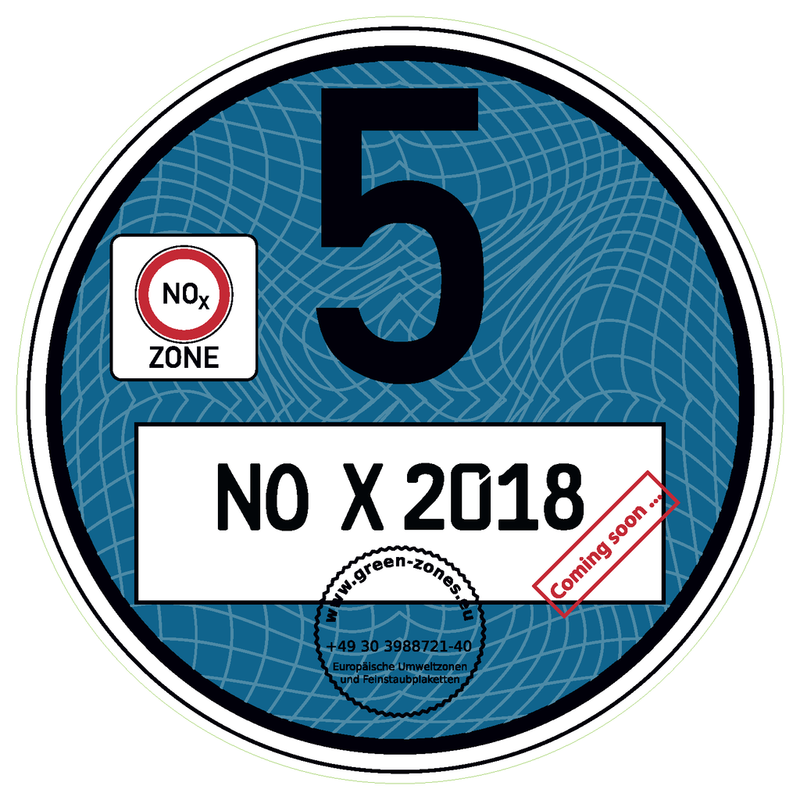 The German Association for the Environment (DUH) and other environmental associations have created a definition of the beneficiaries of a Blue Badge. These are only diesel vehicles that meet the EURO 6 standard (but not all diesel vehicles with EURO 6 standard meet the required nitrogen dioxide values!) as well as petrol vehicles with EURO 3-6 standards. Petrol vehicles with EURO 3-6 standards without direct injection. Petrol vehicles with EURO 6c and 6d TEMP standards and direct injection. Petrol vehicles with EURO 3-6b standards and direct injection, if a particulate filter is installed or retrofitted. Diesel vehicles, diesel trucks/commercial vehicles with EURO 6d-TEMP standard. Electric vehicles without combustion engine. CNG/LPG-vehicles as cars, trucks and buses with EURO 3-6 standards. Attention: Since there are no legal requirements in Germany, which vehicles should receive a Blue Badge, the abovementioned proposals of the DUH are not legally binding. According to recent considerations of the Federal Environmental Agency from 06.03.2018, two blue badges would be possible and necessary. Petrol vehicles with EURO 3-6 standards and direct injection but without particulate filter. Diesel vehicles, diesel trucks/commercial vehicles with EURO 5 standard and SCR retrofitting (Ad-Blue). Diesel vehicles, diesel trucks/commercial vehicles with EURO 6b and 6c standards. Petrol vehicles with EURO 6c and 6d-TEMP standards and direct injection. Petrol vehicles with EURO 3-6 standards, direct injection and particulate filter. CNG/LPG-vehicles as cars, trucks and buses with EURO 3 to 6d-TEMP standards. An overview of the European EURO standards (EURO 1-6d) and their validity can be found here. All information on diesel driving bans, the blue badge and the app in a flyer. the abovementioned proposals and ideas of the German Association for the Environment (DUH), the Federal Environmental Agency and other institutions are not yet legally binding. If you want to know which car in the opinion of ADAC Germany has a low risk of being affected by inner-city driving bans in Germany in the next few years, you can take a look at the ADAC positive list here. Among petrol engines, those with direct injection have a special role. Environmental associations have criticized this technology for a long time, because even though these direct injection petrol engines (usually turbo engines) are more economical than normal petrol engines (intake manifold technology), but emit a high amount of soot particles and nitrogen oxides and, therefore, they should not meet the EURO 6 standard. The EURO 6 standard can only be met by direct injectors insofar as they would be retrofitted with a suitable filter. If this is not the case, these vehicles would exceed the allowed standards by several hundred percent. Only drivers of petrol vehicles with direct injection who make a new vehicle registration from September 2018 can have the assurance of meeting the EURO 6c standard with particulate limits, because only at that time the installation of a particulate filter is compulsory with the new registration. Alternatively, a retrofitted filter may help to meet the standard. Particulate filters are currently still rare. However, Peugeot and Citroën are already installing these filters on some car models ex-works. In the discussion concerning the harmfulness of the exhaust gases of diesel vehicles, the topic of the hybrid vehicles has completely disappeared. Certainly, hybrid vehicles will have less pollutant emissions than petrol or diesel vehicles. No legal classification of the hybrid vehicles which will receive a Blue Badge (light blue/dark blue) is yet in sight, but if yes it will show which hybrid type will receive which badge. In any case, the German Association for the Environment (DUH) advises against buying a diesel vehicle or a diesel hybrid vehicle. There are no concerns about buying a petrol hybrid vehicle. Driving bans for diesel vehicles – How does it work? In Germany, the Blue Badge might be introduced in 2020. It is required to access diesel restriction zones. In 2020, cities and communities will introduce driving restrictions for various EURO classes of diesel vehicles. Therefore, the Blue Badge becomes a need in order to distinguish older diesel vehicles and EURO classes as well as petrol vehicles without particle filter from vehicles with a lower emission of pollutants. General information about diesel restriction zones and implementation.